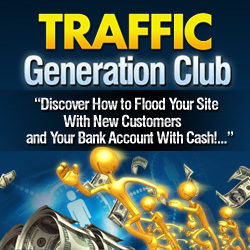 The amount of traffic you have is one key factor in determining your success. Without visitors to your website, you don’t stand a chance in your online business. One of the easiest ways to get a quick burst of traffic to your website is by offering a really hot contest. How can hosting a Contest help you get traffic? People love freebies and contests. The chance to do something small and win something big is appealing to the human psyche. So, use that to your advantage — in a good way, of course. How can you host a contest? There are several types of contests you can host on your website. In this type of contest, contestants receive an entry for simply providing their name and email address. You’ll receive a lot of entries if you keep it simple. Pros: You get email addresses and many entries. Cons: No content added to your website. Lots of freebie seekers. In this type of contest, contestants must submit a story, tip or idea based upon your designated theme. This can be a great way to add content to your website, if you clearly state in the contest rules that all entries become the property of your website. Cons: Less entries than a drawing. In this type of contest, contestants must submit a picture to enter. Pros: Interesting and pretty looking contest. Cons: You may not receive many entries. If the contest is via email, you’ll be receiving attachments — which could invite viruses. In this type of contest, contestants must call a phone number and leave a message (according to the contest rules) to enter. Pros: Interesting and fun contest. Cons: You may not receive many entries. Tell everyone about your contest. The next step is to spread the word about your contest. Simply go to google.com and type in “Submit your contest” and you’ll find a wealth of places that list contests. Make it easy to people to enter. They are oftentimes in a hurry and won’t come back. Use the contest to build your mailing list. Make sure to have a thank you page that your visitors go to after they enter. You can make money on an affiliate offer or another freebie on that page.